Sometimes workflow gets a bad rap. After all, it takes time to create a strategy for linking all of the pieces together, and time is something that is often in short supply. However, if you do not take the time, things can get messy, inefficient, and expensive. You leave money on the floor, run at lower margins than possible, and miss opportunities to expand. How do you solve a problem like workflow? Two big efforts: take the time to do a workflow assessment to see how you stack up against best practices, and the other is to build confidence in your workflow management systems. 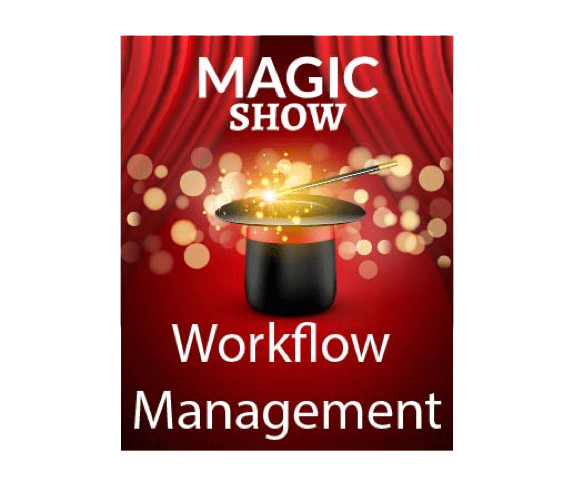 When we look at workflow management for our forecasts and analysis, we review color management tools and management tools for workflow including Print Management Information Systems. We focus on automation for conventional offset shops, digital shops, and hybrid shops that run both print technologies. Start by looking at your color management process. There are as many approaches to color management as there are colors, but it is worth testing what you are doing against industry best practices. Do you have a color management solution installed? Solutions from GMG, COLORgate, and others provide a way to ensure color consistency throughout the production process. If you have G7 Certification you already know the value of going through the process. IF you have not adopted G7, this is a good time to take a look at the process. Some chops follow the process without pursuing full qualification, and that still brings value. Do you maintain digital assets on behalf of your clients? If you do, have you adopted a Digital Asset Management (DAM) system, or are you keeping track of assets using directory structures or other hierarchies? As your business grows adding a DAM can ensure that the right asset is used for the right job and provide structure to exchanging digital assets with your clients. How are you managing job ticketing, job tracking, and the process to update accounting as jobs are completed so that they can be billed? If it is a hands-free, automated process, congratulations! That is the goal. If that does not describe your print shop, start by identifying the manual touchpoints and look for solutions to take the people out of the process. 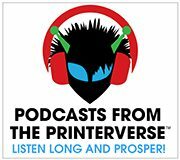 Is your print shop JDF-enabled? Job Definition Format provides a way to capture and share information across the many elements of a workflow to provide tracking through each step. Many software and hardware manufacturers have added JDF capabilities so that their machines can participate in a JDF-enabled workflow. If your hardware and software are enabled, but you have not yet begun to use JDF, this is a great time to start. Is your print shop using Web-to-Print or Web-to-Workflow? Those processes should not stand alone. The best practice is to ensure that orders captured on the web join an optimized workflow process as soon after job entry as possible. Workflow is the infrastructure to your print success, so keep an eye on the processes and keep checking back for tips! Don’t forget to check out the other blogs in this series and stop by my Workflow Blog for the step by step guide on how to evaluate the workflow you have! Surprised you didn’t mention the fact that an MIS is the glue that holds everything together and will track and monitor each job through production stsges using both JDF and JMF. A good MIS will also give you actual costs so you can see how you are performing against estimated and will of course raise the invoice and post to your accounts package.